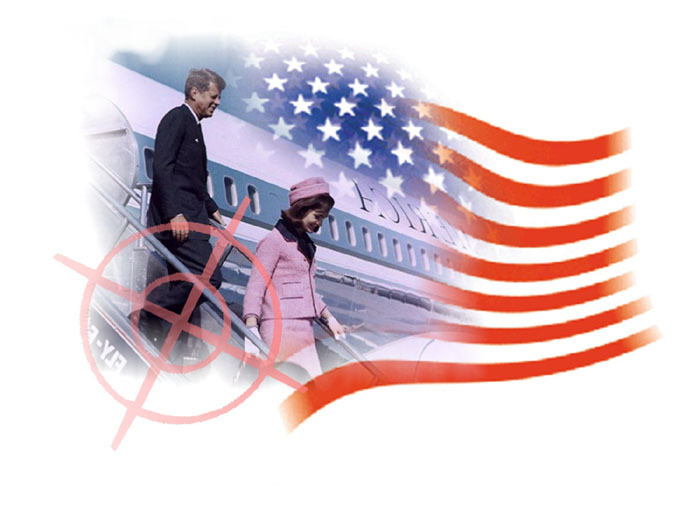 Click on Kennedy Assassination to read an essay on the shot that killed a president 50 years ago today and altered the future for the worst. This essay was written five years ago, but reads like it was written today! It was a black hole wreathed in Asian funerary white cloud seen from space. The shroud was pulled over the entire Philippine archipelago, Friday morning, local time, the black hole drew a tree and building-flattening path over the central islands of Leyte and Samar with a funeral flood—a storm surge of tears, rising 23 feet! Twelve million Filipinos (as I write this report Friday, at 2 am Pacific Time) hear the wail of sustained winds often reaching 195 mph with gusts above 220 mph sending bamboo huts airborne and laying low even the hardiest steel and stone structures where many thousands had sought some meager kind of shelter. 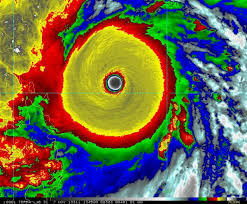 I sense thousands dying in this typhoon’s thunderstorm funeral procession of what will go down in history as the largest and most powerful tropical cyclone in recorded history. Haiyan, once it has buried in debris and drowned the central Philippines, will move on into the warm waters of the South China Sea, regaining strength for its Sunday landfall in Central Vietnam, not returning to Category 5 Super Typhoon strength, but still a monster Category 3. According to the US Weather Channel, no North Atlantic hurricane was this powerful, not even the legendary Hurricane Camille in 1969, Hurricane Allen in 1980. 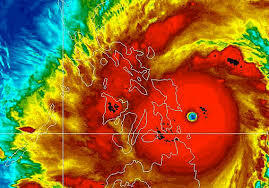 Indeed no known Western Pacific Typhoon, not even Super Typhoon Tip in 1979, was this large and powerful upon landfall! 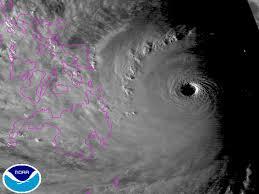 Typhoon Haiyan seen from the night side of Earth. Neptune in Pisces brings a dire astrological metaphoric punch to the central Philippines, much of which is still recovering from a devastating 7.2 earthquake on 15 October leaving thousands homeless, living in tent camps. The tents are gone now, swept away by the wet and windy hand of Haiyan as emissary for Neptune, the God of ocean floods and earthquakes. This is only the beginning of Neptune in Pisces 13-year transit through Pisces. 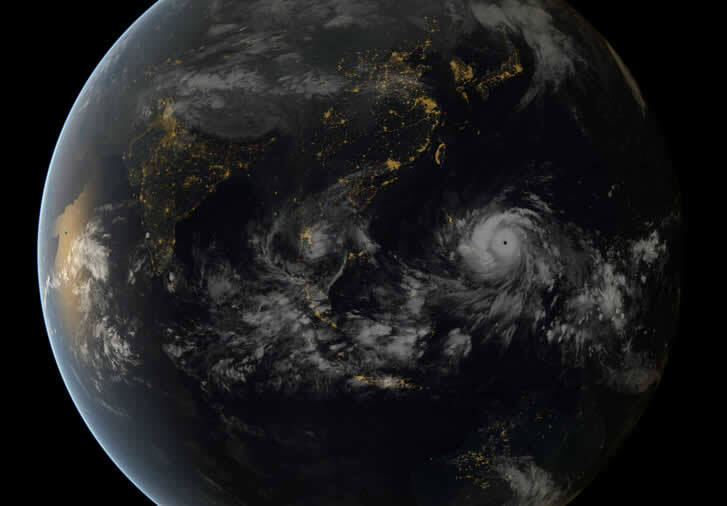 Expect many more Haiyan typhoons, Indian Ocean cyclones and after this year’s respite, a renewed violence of hurricanes in the Northern Atlantic. 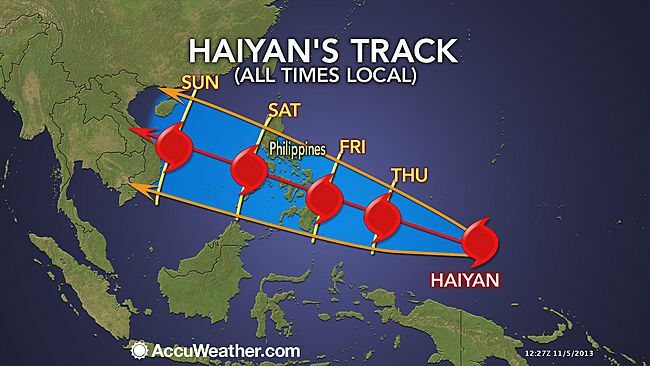 The Typhoon paths will keep changing, moving farther south. They will continue to hit the Philippines and even visit the shores of Vietnam, Cambodia and Thailand. The developed world won’t notice it much, except for the exotic names of distant places being hit by the climate’s “new normal”. They will go fracking along, bringing online new Saudi Arabias of Canadian tar sands and shale oil-natural gas deposits burning most of the CO2 and methane plumes that feed the super typhoons flattening places with unpronounceable names. 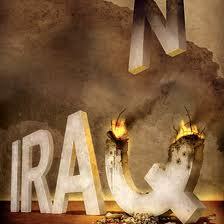 …Mother Nature has to hit Stupid where it’s king, in the towers of economic and news network power in New York. The marble halls of Washington DC government buildings and F Street lobbyists need 12 feet of Potomac River pushed backwards into the Washington Mall by a future superstorm charging up into Chesapeake Bay with a storm surge so powerful it reverses the flow of the rain swelled Potomac into the US Capitol building basement. When a storm forces the president’s evacuation of the White House, along with the House and Senate and the Supreme Court, like it was a nuclear war, then it might get their attention and inspire “your” petition for a fight with climate change. I am forecasting here that such an irresistible storm will rage up the Chesapeake into Washington DC in one of the next three hurricane seasons of 2013, 2014 and 2015. The great city of the maritime ocean, surrounded by a swamp of crystal: In the winter solstice and the spring will be tried by a terrible wind. A 16th-century man could describe the all-glass façades of the world’s newest skyscrapers changing the face of cities like New York and Hong Kong as swamps of crystal. 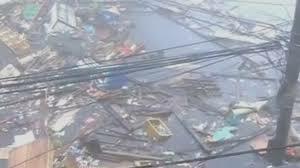 In the West Pacific Typhoon Season, December can see the worst superstorms pummel the Southeast Chinese coast. “NASA released global temperature data showing that this September tied with 2005 for the warmest September on record. That’s doubly impressive since 2005 was warmed by an El Niño and accompanying warm Pacific Ocean temperatures, whereas 2013 has had cooler Pacific temperatures all year. “Greenhouse gases keep warming the planet to unprecedented levels with unprecedented speed. That’s the conclusion of two new studies out this week. “A new study in the leading journal Science adds support to the idea that the oceans are taking up some of the excess heat, at least for the moment. In a reconstruction of Pacific Ocean temperatures in the last 10,000 years, researchers have found that its middle depths have warmed 15 times faster in the last 60 years than they did during apparent natural warming cycles in the previous 10,000. 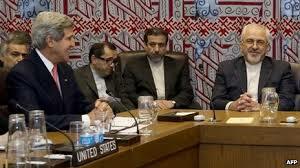 Kerry with Iranian diplomats earlier this year. 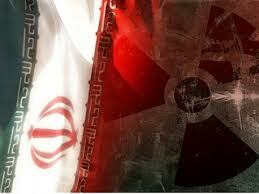 Is a Diplomatic Breakthrough with Iran near? John Kerry will fly to the UN headquarters in Geneva Friday to participate in weekend negotiations over resolving the US government’s suspicions over Iran’s nuclear enrichment program being a front for creating enriched uranium to build atomic weapons. 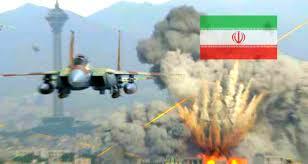 “On the U.S. and P5-plus-one side—the permanent members of the U.N. plus Germany that are negotiating with Iran—they want Iran to stop their nuclear program,” reports Juan Zarate, CBS News National Security analyst. The French and British Foreign Ministers are also either at or on their way to Geneva. It is expected that Russian Foreign Minister Lavrov, who was pivotal in turning Kerry’s Joke diplomacy into a Syrian Chemical Weapons negotiated deal earlier this year, will also be there to referee for the Iranians. It has been my Oracle’s contention that a diplomatic breakthrough was only a pause through the year 2014, a prelude to war by mid-decade. The Future of Israel—Progressive or Apartheid? 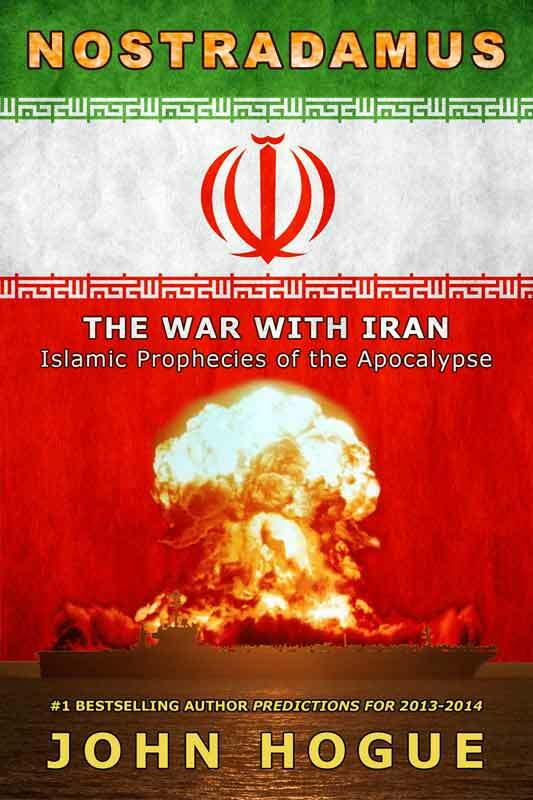 Explore Nostradamus’ “in the clear” and detailed prophecies by clicking on Nostradamus Iranian predictions. This entry was posted in Global Warming and tagged 50 year anniversary, 50 years later, Assassination, breakthrough deal, Caroline Kennedy, Category 5, CBS, Central Vietnam, climate change, Columbia University, Conspiracy, cyclones, Dark Matter, Death of a President, flood prophecies, floods, forecast, forecasts for 2013, forecasts for 2014, Fukushima, Geneva, Global heating, global warming, Hogue, Hong Kong, hurricane, Hurricane Allen, Hurricane Camille, Ice core, Iran, Israel, Jackie Kennedy, Jeane Dixon prophecy, JFK, John F. Kennedy, John Hogue, John Kerry, Kennedy, Kennedy assassination, Kevin Kosner, Lavrov, Middle East, Neptune in Pisces, New York, Nostradamus, NSA, Obama, Oliver Stone, oracle, Oswald, P5-plus-one side, Philippines, Pope Francis, predicitons for 2014, prediction, predictions, Predictions for 2013, prognosticate, prophecies, prophecies for 2013, prophecies for 2014, prophecy, Snowden, Spying, storms, stupid, Super Typhoon, Super Typhoon Tip, Syrian chemical weapons, ThinkProgress.org, Typhoon Haiyan, Typhoon Yolanda, Vietnam, Washington DC, weather channel, wildfires. Bookmark the permalink. Post a comment or leave a trackback: Trackback URL. Please unsubscribe me from your email list. I was interested in your work. But you have shown over time to be political and negative. If you do have ability to prophesies, I worry now of where you obtain that power. I believe it is from the dark side. Call me Darth Hogue, baby, from now on. LOL! PS–Unsubscribe yourself, now there’s a good big baby boy. It’s just like tying shoes. Daddy must have shown you how. (And since “I” AM YOUR FAAATHEEERRrrrr, Wheeze…) When you join my newsletter list, you can find a way and take back your power unsubscribing from it yourself. Thus, if you ask “Meeeee” (Breetheee-WHEEEEEzzzz) to do it FOOOR YOOOOU, (Breeeeeaaath-WEEEEEEzzzz) you have given MEEE power over UUUUUUUUU, heee heee heeeeeeeewheezzzzzzz,cough…..Chuckle…. Hi John, I’m a long time subscriber and purchaser of your books. 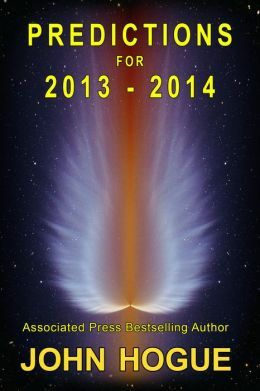 One question: can I pre-purchase the 2014 prophesies for Kindle instead of the usual pdf? That’s a good question, Robin. I’m still pretty new with kindle so I’ll ask my author buddy J.R. Rain about it. If I can then I’ll make an announcement when it’s up. The 2014 on kindle won’t have the Stormberger extra chapter though. But if you have a Kindle Fire APP you should be able to read my pdf on any tablet you like.